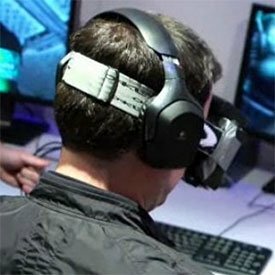 id Software's John Carmack is wildly enthusiastic about the potential of head-mounted VR displays and plans to incorporate support for head-mounted virtual reality gaming in Doom 3 BFG Edition, as well as Doom 4. The new version of Doom 3 is anticipated to arrive on October 16, after that date id Software will kick Doom 4 development into overdrive. John Carmack, founder of iD Software and prolific game developer (truly, the "godfather" of Doom), is already working on a new iteration of his Doom 3 game – first released in 2004 – that kicks up the graphics, sound, and 3D support to modern-day levels. And, as reported by Polygon, the next iteration in the Doom series – Doom 4 – will also support head-mounted virtual reality gaming.